Tina Knowles says her wedding day “couldn’t have been more perfect”. 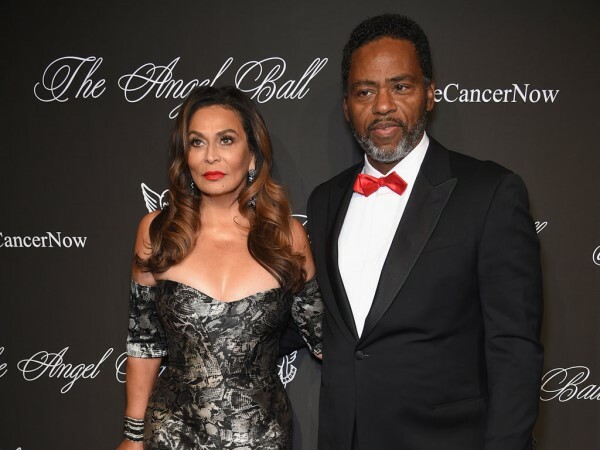 The 61-year-old mother of singer Beyoncé married actor Richard Lawson in a ceremony on board a yacht sailing out of Newport Beach, California, earlier this month. And opening up about the special occasion for the first time, Tina admits the nuptials were more magical than she ever thought it could be. "It couldn't have been more perfect," Tina told People.com. Beyoncé and her younger sister Solange were among Tina’s family at the wedding, while her grandchildren Blue Ivy, three, and Solange’s 10-year-old son Julez acted as the flower girl and ring bearer respectively. Wearing a stunning white dress by Romona Keveza, she walked down the aisle to India.Arie’s track Ready for Love. Tima admitted to the outlet that she had been unsure as to whether she would ever “find love again” following her divorce from Beyoncé’s father, Matthew Knowles, in 2011. However, she soon realised when her friendship with Richard (68) turned romantic that he was the man for her. Now Tina is hoping her fairytale ending will help others realise they are able to have a second chance at love. “It was important to me to have a wedding and walk in white, because sometimes we feel that at a certain age you should act a certain way," she said. "You can find love at any age. You just have to go for it."